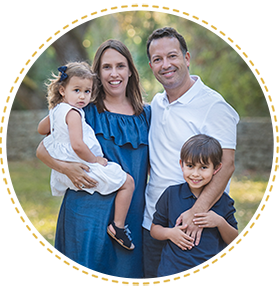 Sports are an important part in your child’s development and offer amazing health benefits. Exercise is without a doubt, good for the mind and body. If your kid chooses to play tennis, you will be happy to know it is one of the best sports to play. 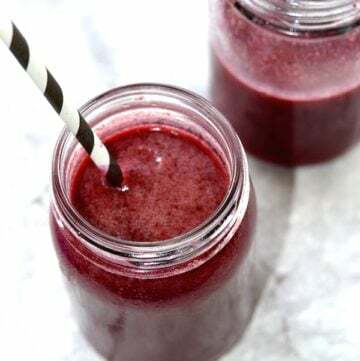 Besides getting a good workout, here are also seven top life skills tennis teaches kids. When my son was around 4 years old, I started signing him up for extra curricular activities. Soccer, swimming, music, art classes, you name it! I wanted him to be exposed to everything so he could discover his true passion. And tennis was the activity he preferred among all the other classes. Nothing he loved more than going to play tennis, always very excited about it. 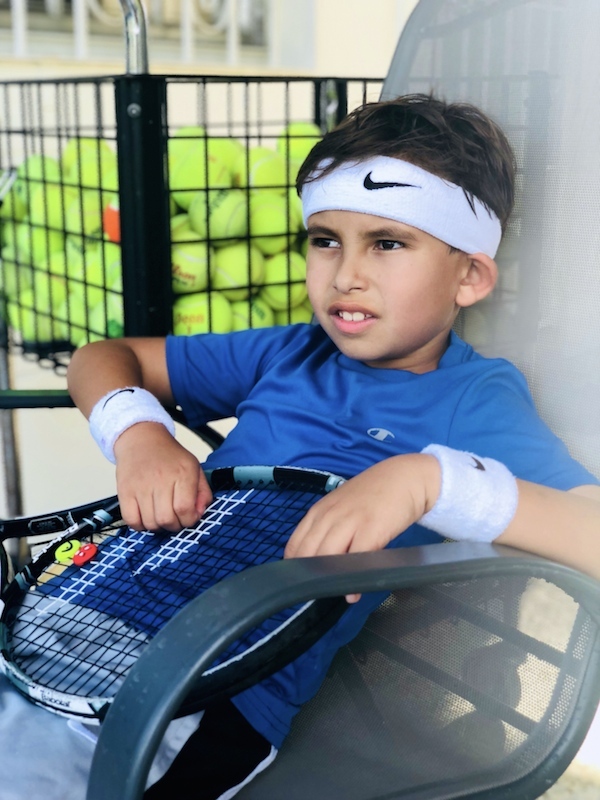 My husband and I also love playing tennis, and this could also be an important factor as to why my son developed such a deep affection for this game. When you have your parents as roll models you tend to imitate them, children learn by example after all. But regardless of our personal preferences, he loved this particular sport. There is just something magical about tennis that really gets into you. Once you start playing and enjoying the game, you are hooked for life. So, if your kids decide to take up tennis, they would be making a wonderful decision. Tennis is so much more than just a game. This fantastic sport also teaches your important life skills, like these top seven listed below. 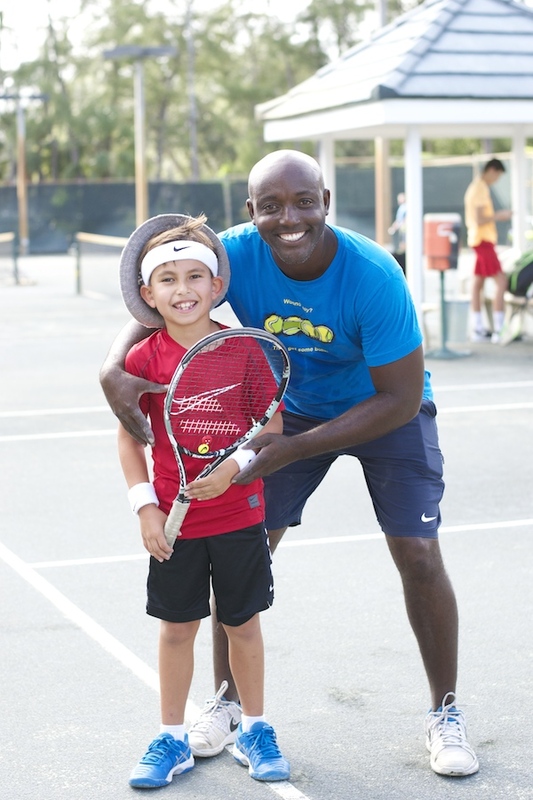 Tennis helps kids believe in themselves giving them plenty of confidence. Once they start hitting the ball, they will start feeling able and capable. A point, then a game, then a set, and finally win a match. That feeling they can do something well, that is what confidence is all about. Your kids will need to follow a schedule of tennis lessons, and obey the rules of the game when playing a match. They will learn that tennis requires great discipline in order to succeed and be the best players. This wonderful sport can’t be mastered overnight. It will take a long time and lots of practice to be able to play well. 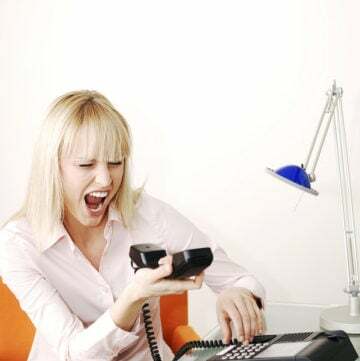 Kids learn to take it one step at a time without getting upset. They learn to understand that time and practice will get them where they want to be. 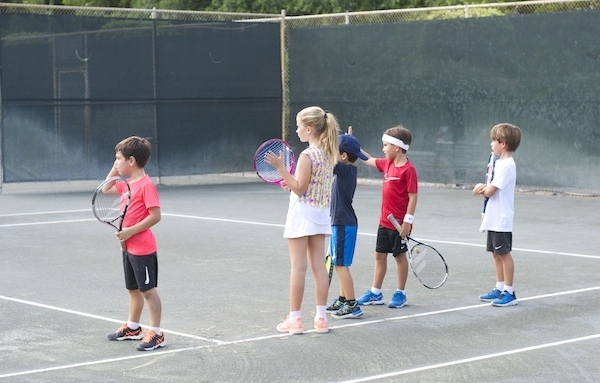 Honesty and integrity are important life skills tennis teaches kids. The rules of the game must be followed, and players need to be fair, sincere and truthful about their game. A good tennis coach will teach you all about honesty. In this sport, kids are able to fulfill their potential when their mental game is strong. Making mistakes and learning from them in a safe and supportive environment is part of the process. Tennis is really a mental game that will stimulate your kids’ minds, fortifying it and helping them in other areas of their lives as well. 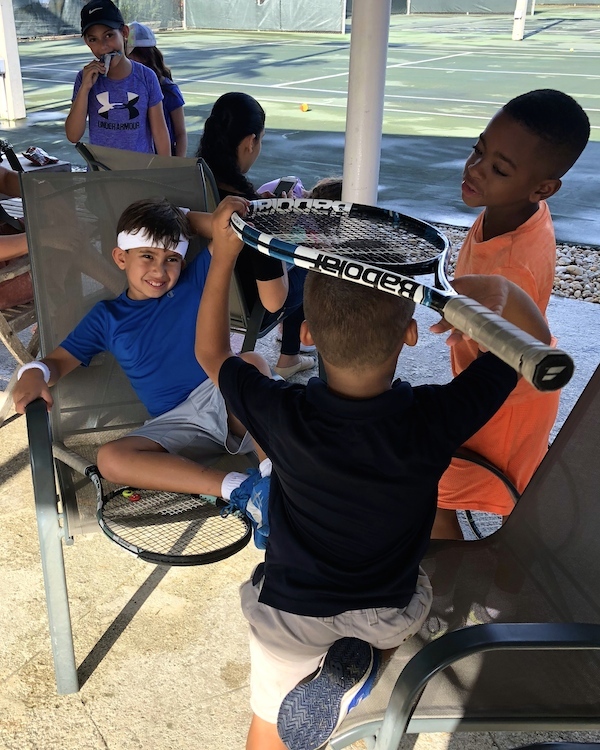 Tennis is a very social sport that will allow your kids to have lots of fun with their friends not only during points, but also between, before, and after the match. It allows them to communicate effectively and build friendships that will last a lifetime. 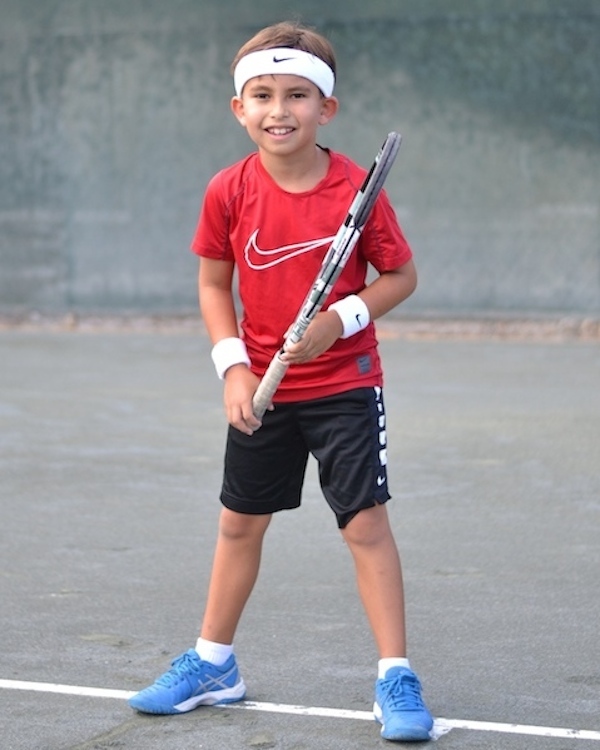 Kids who love playing tennis work hard towards realistic goals. Winning the next match or participating in a local tournament will make them really test their abilities. 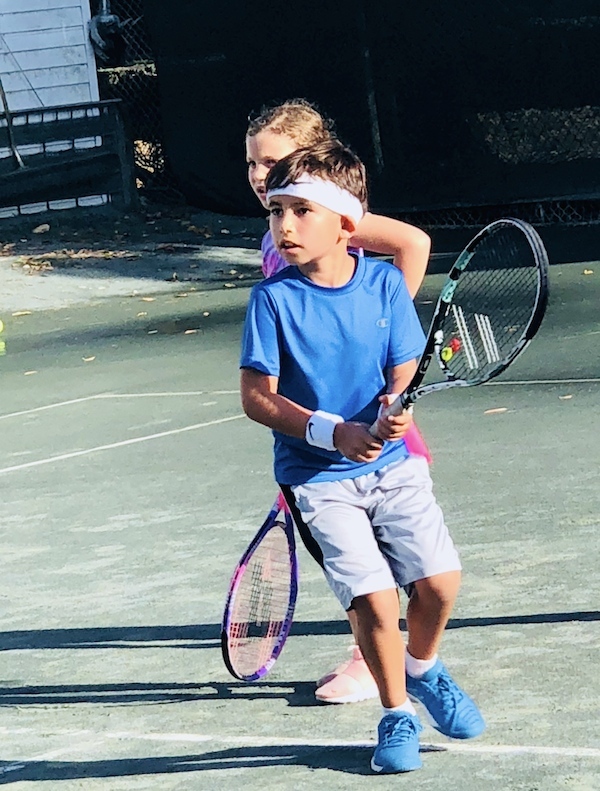 Taking on challenges is such an important life skill tennis teaches kids of all ages. Tennis is one of the best sports your kids can play and it is great for all ages. Children can start playing at around 3 years old. The picture above is my 3.5 year old daughter taking her first tennis lesson today. We are now officially all tennis players in the family. 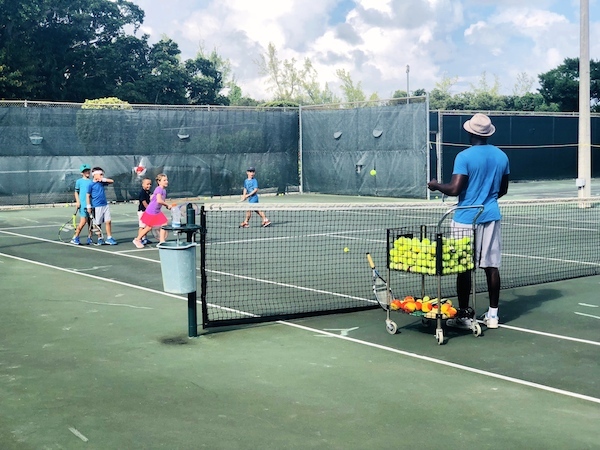 Tennis will teach your kids valuable life skills that will also help them in all aspects of their lives. Choose this wonderful sport and see for yourself the wonderful things tennis can offer.